The F4 Defense F4-15 Enhanced Battle Rifle (EBR) is a thing of beauty. There is a great fallacy in life that we all secretly know. Sure, we strive to be “above the fray” and don’t want to be known as the basic creatures that we really are. But the big fiction we cling to is that “looks don’t matter.” Now, granted, they are not the only determining factor in our ultimate opinion on things, but that first head snap is never based on anything other than looks. While this is obviously a fact in human interaction, it goes much deeper than that. An area I see it in quite often is firearms. Simply put, people like good-looking guns. When you’re sitting around at a barbecue, you simply don’t brag about your ugly guns. I openly admit that I am susceptible to head-turning guns, and I almost snapped my neck recently when I looked back at a new rifle that has just been released. Here is an inappropriate whistle at the new EBR. Entering the AR market at this point in time takes some guts and confidence in your product. F4 Defense is a veteran-owned small-arms manufacturer with decades of military, engineering, design and competitive shooting experience. 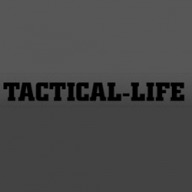 The company set out to build tactical firearms that perform at the highest level while maintaining unequaled aesthetics. In other words, in an ocean of black guns, it takes some supermodel power to stand out, and that is exactly what the folks at F4 Defense have done. After two years of work, it was finally ready. Released in July of 2017, the F4-15 EBR is a perfect match of form and function. It is a stunning rifle with aesthetically pleasing lines and recesses that also serve to reduce its overall weight. Understand, however, that this is not simply skeletonizing a rifle to shave weight. All of the cuts are thought out to mix engineering and looks. It is hard to describe, but the F4-15 EBR has futuristic styling while maintaining a no-BS feel to its design. The rifle I received for testing was obviously eye-catching. The cuts on the billet-crafted receivers, for example, make it lighter than most forged receiver sets without sacrificing operational integrity. The gun is built by shooters, which is evident in the flared magazine well; ambidextrous, short-throw Battle Arms Development (BAD) safety selector; forward assist setscrew; adjustable trigger; and beveled, oversized trigger guard. The trigger is a HiperFire Competition unit that can be adjusted from 2.5 to 3.5 pounds for precision shooting. One of the most notable features is the Adaptive Rail System (ARS) handguard. M-LOK or Picatinny rail? F4 Defense has solved the age-old question by offering both on one handguard. The patent-pending hybrid system is directly integrated into the extruded profile of the rail. Accessories of your choice can be attached directly to the rail, eliminating the need for adapter rails. The handguard is made from extruded 6061-T6 aluminum that is then hardcoat anodized. The upper also sports an 18-inch, 416R stainless steel barrel with three-land polygonal rifling and an F4 QR muzzle brake. The barrel is paired with a mid-length gas system, a nickel-boron-coated bolt carrier group and an F4 Quick Reaction charging handle. Finally, for furniture, the F4-15 EBR uses a Mission First Tactical (MFT) Engage pistol grip and Battlelink Minimalist buttstock. To wring out the F4-15 EBR, I added a TruGlo 1-6x24mm Tru-Brite 30 Series scope. This has been a great optic for me and is high on the “more bang for the buck” scale. It offers clear glass, an illuminated reticle and plenty of magnification for my needs. This model also has a quick-zoom lever to make magnification adjustments fast and smooth. Most interesting to me, however, is the fact that the scope comes with two BDC turrets: one for .223/5.56 shooting and one for .308 rounds. Each one is calibrated to allow you to engage targets out to 800 yards with simple holds. All of this for only $270. It’s quite the steal. Because of its Enhanced Battle Rifle moniker, I decided to run the gun in that capacity at the range. After zeroing in, I began to work across an urban scenario that I had assembled on the range with targets set anywhere from 25 yards out to 350 yards. My focus on all of the targets would be headshots. F4 Defense states that its guns possess sub-MOA accuracy, so that was my baseline. This is the brutal reality of a weapon in this capacity, especially in civilian and law enforcement worlds. “Minute of man” accuracy is simply unacceptable in some situations. My son and ever-present shooting partner served as my spotter and called targets. I shot the F4-15 EBR off a support bag, but that was it. With the range set and clear, the next thing I heard was “Target 3, 275 yards, spotter up.” Like many people who run drills like this, once I establish my accuracy, speed becomes the next big factor. And I was quick on the trigger. The smooth press of the HiperFire trigger made it easy to get clean headshots. Except for a few rushed shots on my part in an attempt to set a land-speed record, the gun ran exceptionally well. The F4-15 EBR’s solid performance continued as we began to run barricade drills and shoot from the support side. My son noticed that the ARS handguard had a bit of a bite to it. For those with less hearty hands, you will notice this as you run the gun. On the plus side, I’d like to give a quick shout-out to whoever first came up with the ambidextrous safety, because it is a nice feature when you are forced to switch hands. The added benefit of the BAD safety’s short throw is even better. After emptying the last magazine, I could easily say that the gun ran very well. In group testing, the rifle upheld F4’s claim of being a sub-MOA gun. Leading the pack was Hornady’s 75-grain Hornady TAP SBR ammo, which created a five-shot group measuring just 0.6 inches at 100 yards. Had I used a bipod and a rear sand sock, I’m sure the rifle would have produced even tighter groups, but I can’t complain about its performance as is! The gun was built to tight tolerances, yet that didn’t give me any grief when running a variety of ammo. That said, the magazines seated so tightly in the mag well that empty mags wouldn’t fall free when released. This is a tiny nitpick and is actually more of a preference than anything. It’s also worth noting that I was using Magpul PMAGs, and perhaps other magazines might fall free. This caused a hiccup in my pace on a couple occasions as we mixed in emergency reloads. But, beyond that, I believe the gun is ready for prime time. The F4-15 Enhanced Battle Rifle is an exceptional gun. As I said at the beginning, I like good-looking weapons, and this one fits that bill while being made for serious duty. As F4 Defense puts it, the company is “unrelenting in its pursuit of innovative and game-changing weapon platforms for the military, law enforcement and civilian markets,” and this rifle is definitive proof of that. It might be new, but F4 Defense is on the right track, delivering “proven solutions that drive innovation and improve performance.” I came away impressed by the F4-15 EBR, and I expect F4’s other 5.56mm and .308 models to keep turning heads. I look forward to watching this company grow. For more information, visit f4defense.com. Bullet weight measured in grains, velocity in fps by chronograph and accuracy in inches for three 5-shot groups at 100 yards. The post TESTED: The F4 Defense F4-15 Enhanced Battle Rifle appeared first on Tactical Life Gun Magazine: Gun News and Gun Reviews.